Dating etiquette in the modern era: Who pays on the first date? In the era of social media and dating apps, the old battle over who pays on a first date still lingers on. In 2015, the answer to that question isn't simple. A new study finds 10 percent of heterosexual daters are looking for something very traditional where the man pays for everything. Another 10 percent are looking for 50/50 from the very first date. The rest are somewhere in between. But the study also found more than 75 percent of men say they feel guilty when accepting women's money on a date. Janet Lever, a professor of sociology at California State University, calls it "benevolent sexism." "Men are in this horrible position. They're still fearing: should I hold the door open or is that going to insult her?" Lever tells CNN Money. It gets even more complicated when the check arrives. The study found nearly 50 percent of women will reach for their wallet and offer to pay, but more than half of them will be upset if they do have to shell out any money. The study explains men and women also use the battle for the check as a non-verbal way of communicating. Women see a guy who pays for the check as a gentleman and someone who is invested. Woman who offer to pay the check signal they are independent. 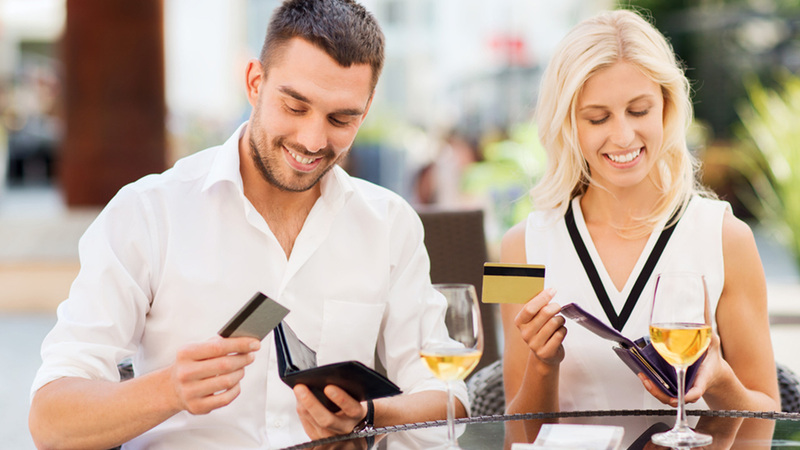 "How they decide to pay on a date can be a good signal of how they think men and women's roles should work in the relationship," said David Frederick, an assistant professor of psychology at Chapman University. The study does say women should pay for something by at least the third date. That's because research shows men, especially younger men, have stopped dating a woman because she never paid for anything. "The younger the man, the more strongly he feels that women should be paying for something," said Frederick. CNN Money offered the following tips to help both men and women navigate the dating scene. Offer to pay for the first date. Even if a woman offers to pay, about half of women get mad if they do have to pay. Come up with a good line that doesn't sound old-fashioned such as, "Would it be OK if I picked up the check tonight?" Always say thank you if other person pays. If you like the person, try a line such as, "I'd like to take you out next time...there's this one restaurant I really love." By the third date, make sure to at least pay for something.